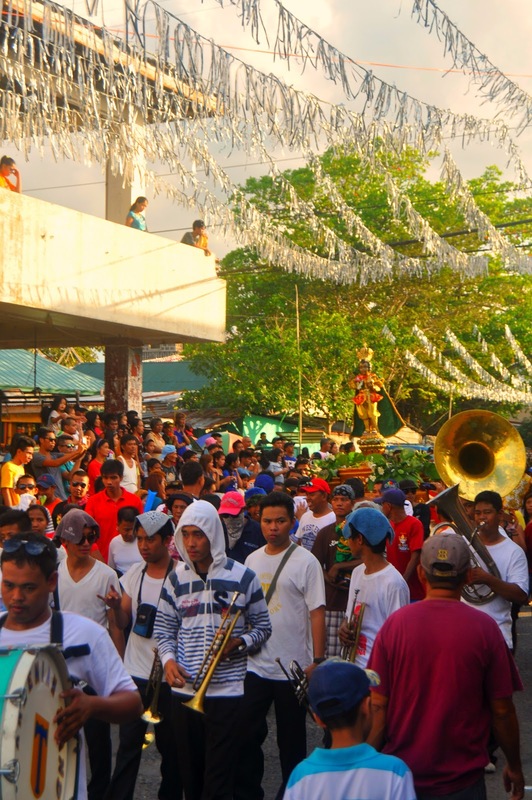 Karakol is a religious procession dance/street dancing ritual and a colorful form of thanksgiving is practiced and performed during fiestas. The tradition of Karakol (Turumba is the other name of Karakol in Ternate) starts with a procession to bring the image to Maragondon River. 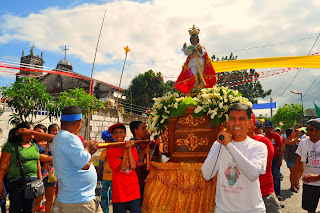 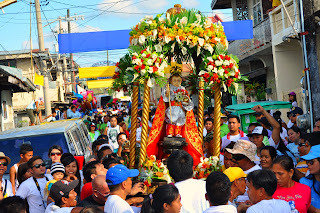 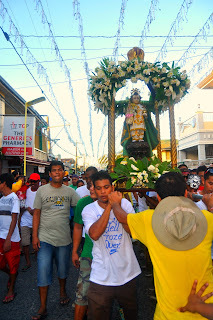 As the image of the Holy Child was brought out of the church, the karakol will start with a parade of performers (usually devotees, and locals) going to the town proper while dancing to effervescent music to show their sincere devotion to the Holy Child and will end at Maragondon River (in Barangay San Jose) for the fluvial procession. 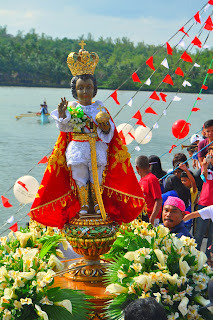 Ranrich Beach Resort in Ternate, Cavite where the Fluvial Procession of the Santo Nino takes place. 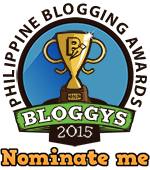 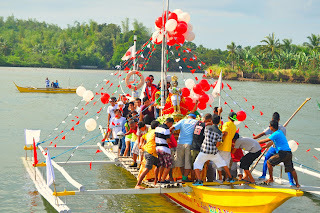 Fronting the Balot Island (Isla de Balut) at the boundary of Maragondon River and Manila Bay. 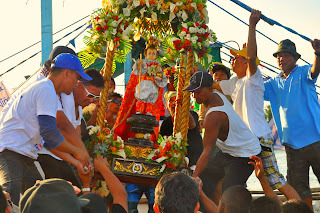 It features a fluvial procession performed by folk music played by a brass band or a recorded music (mobile sound system) and street dancing by children, teenagers, and women in fancy dress and hat. 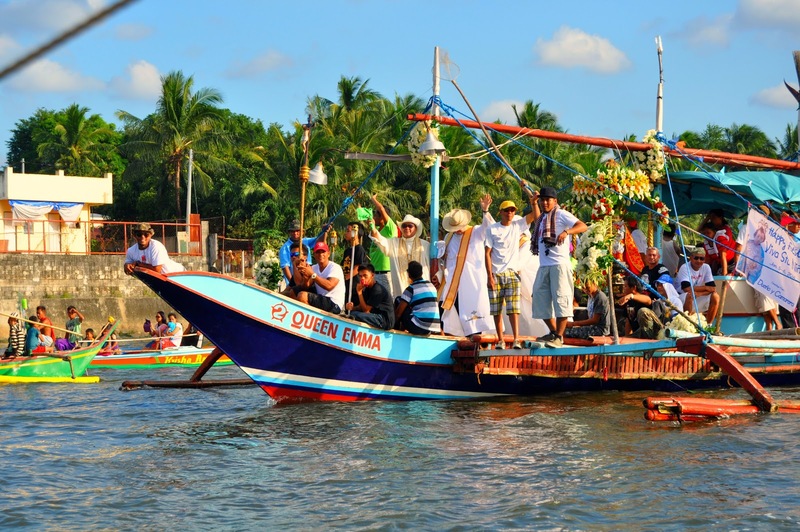 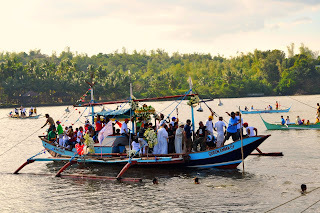 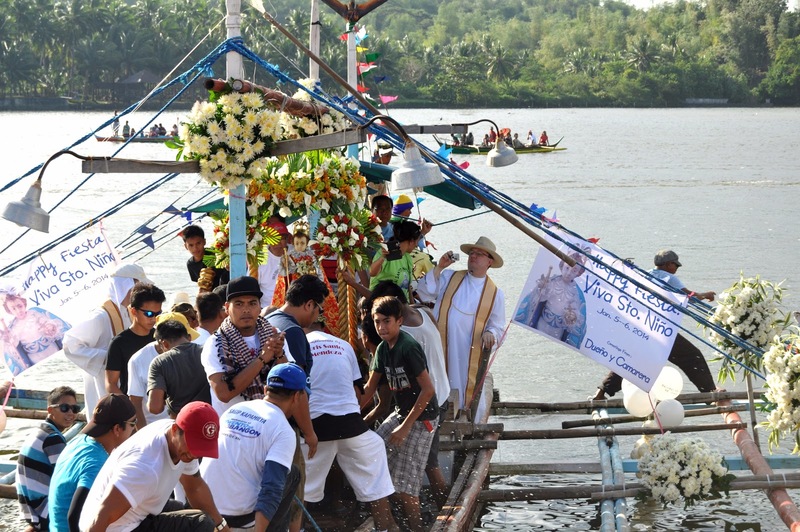 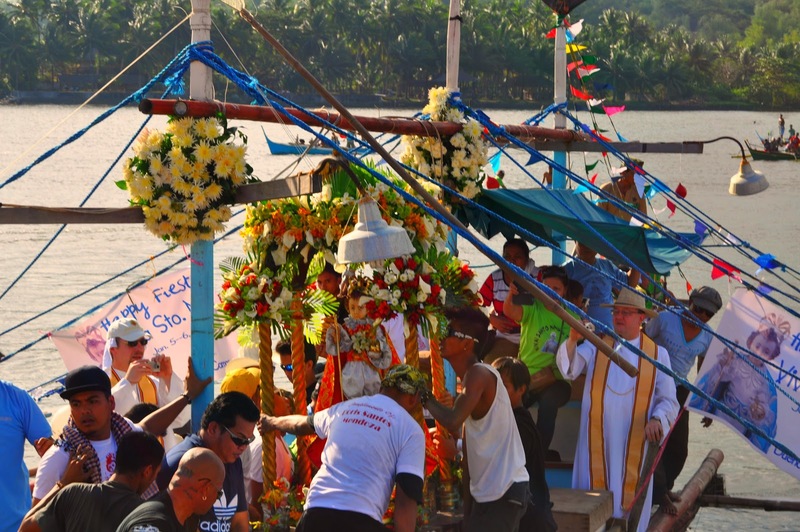 It is then placed aboard on a large banca (boat) with improvised alter decorated with flowers, balloons and paper flags, for the fluvial parade where thousands of devotees, young and old alike, dance to the rhythm of the brass band. 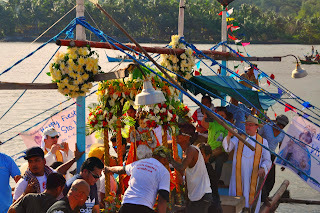 Spectators at the riverbank also dance and pray while watching the activity. 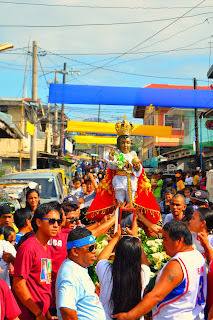 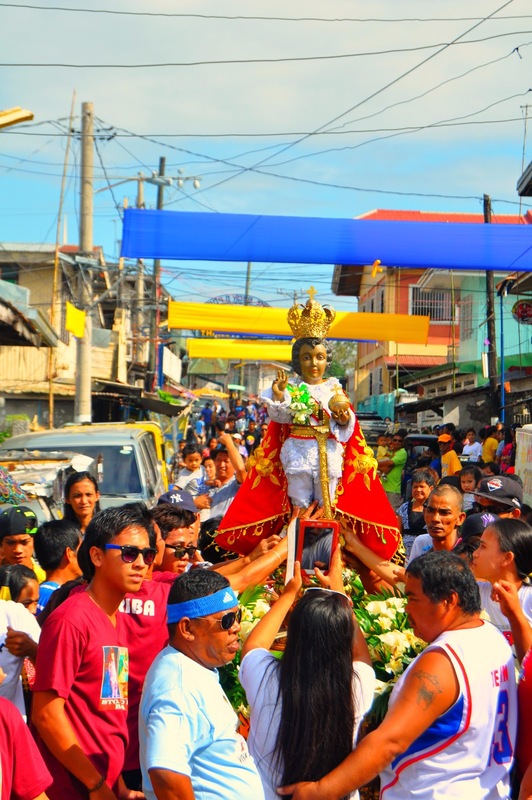 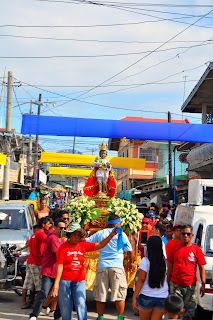 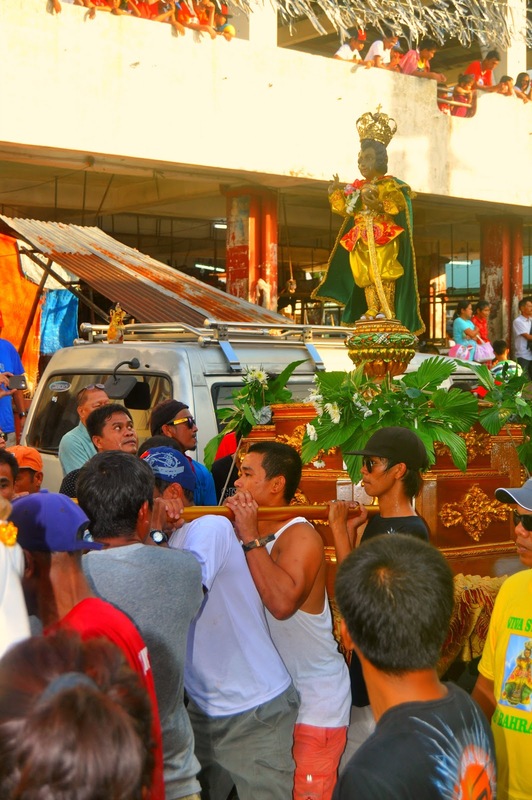 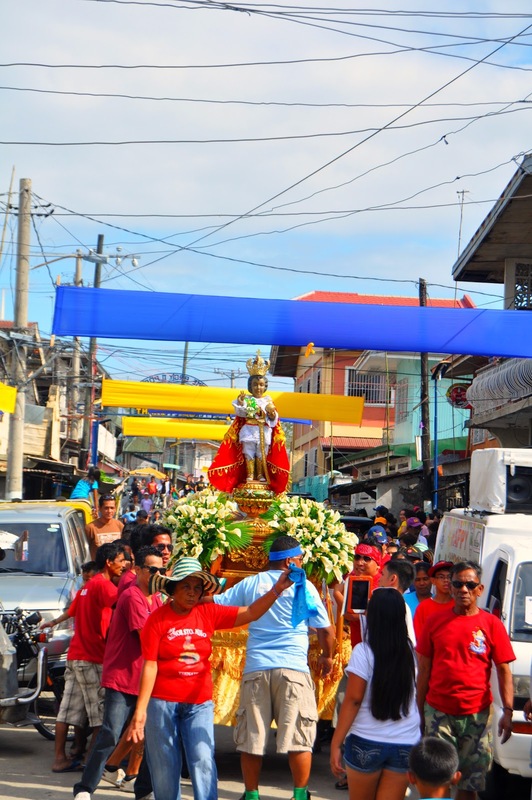 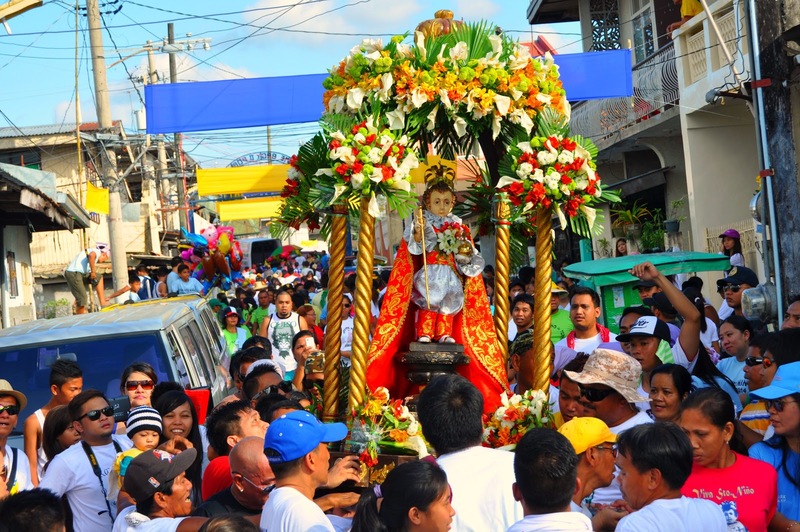 After the fluvial parade, the Santo Nino followed by the devotees and pilgrimage is brought to the streets for the actual Karakol around the town proper. 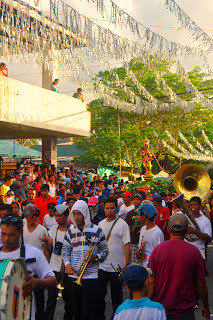 Different groups joined the Karakol and merrily dance to the music of the brass band. 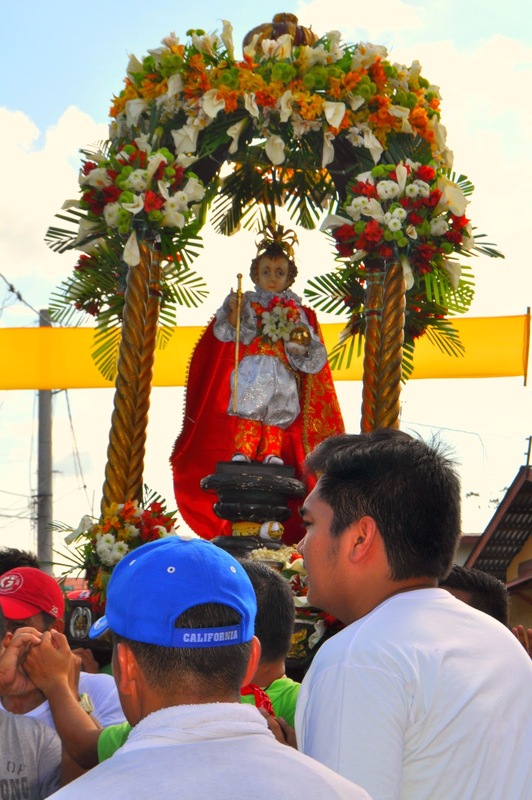 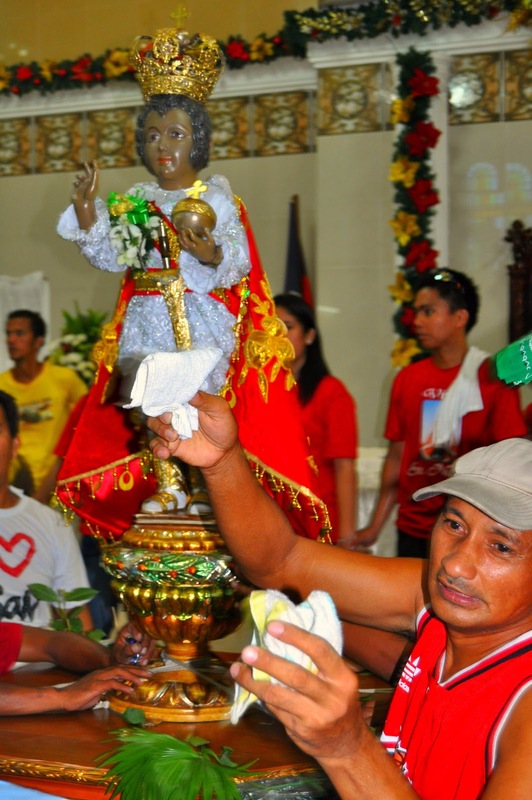 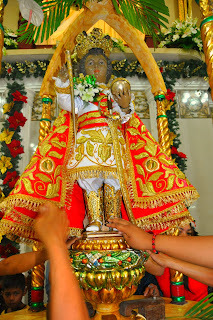 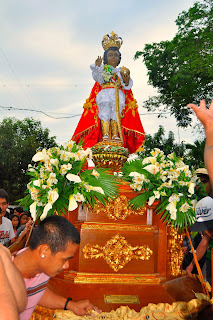 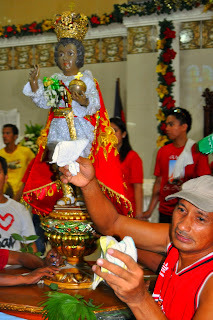 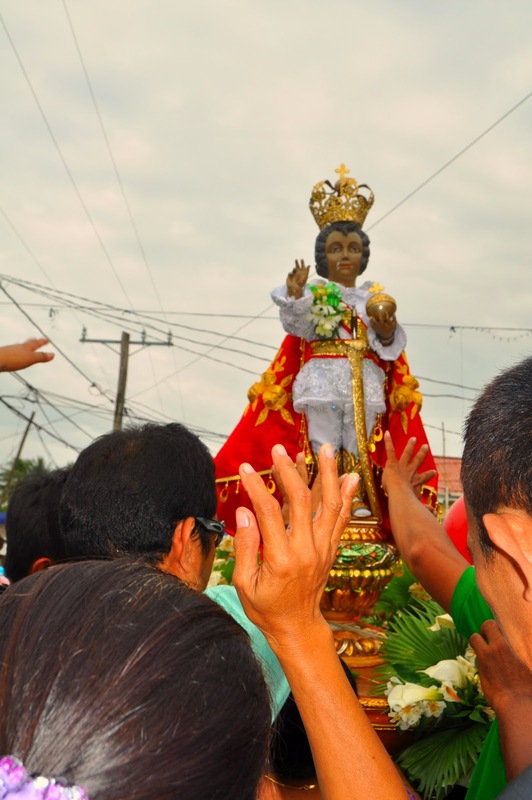 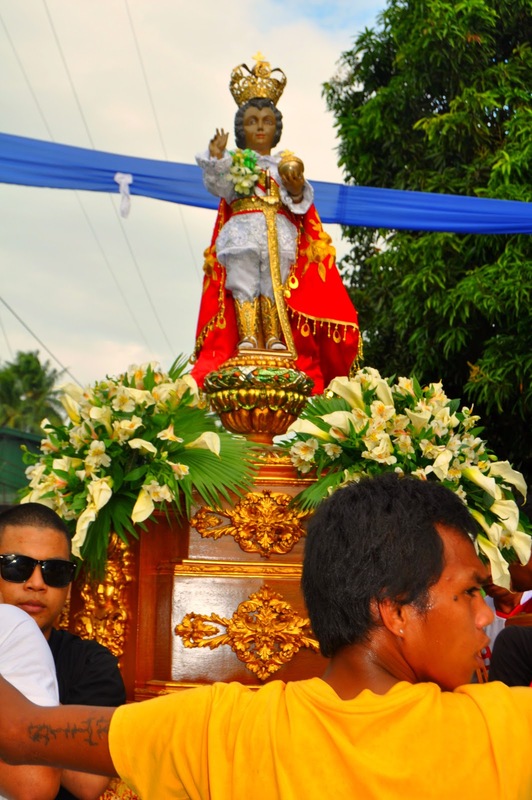 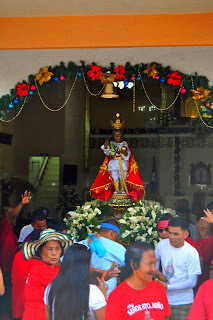 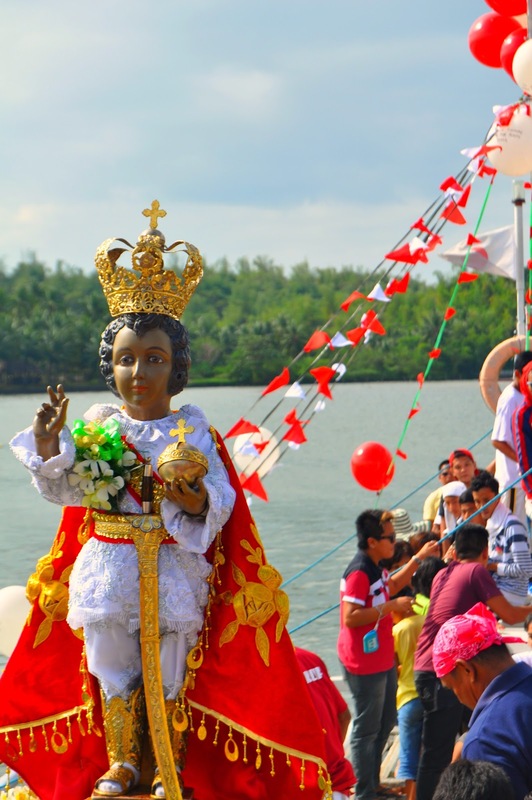 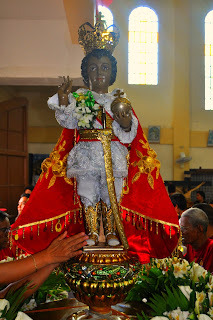 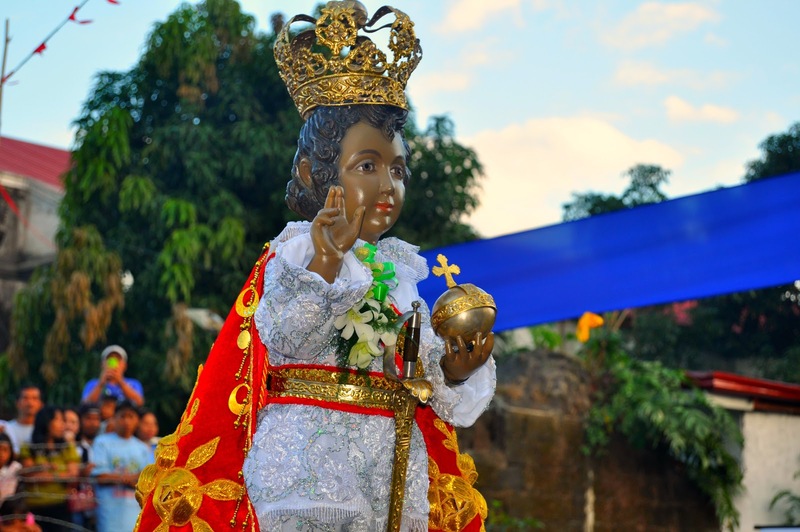 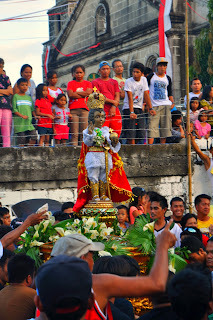 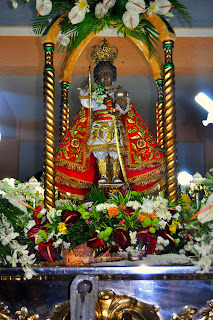 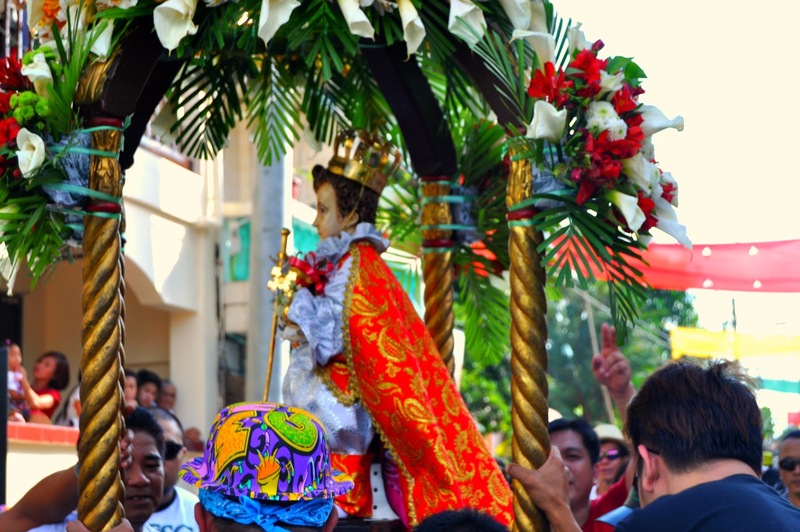 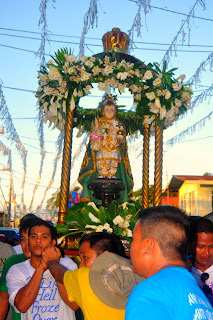 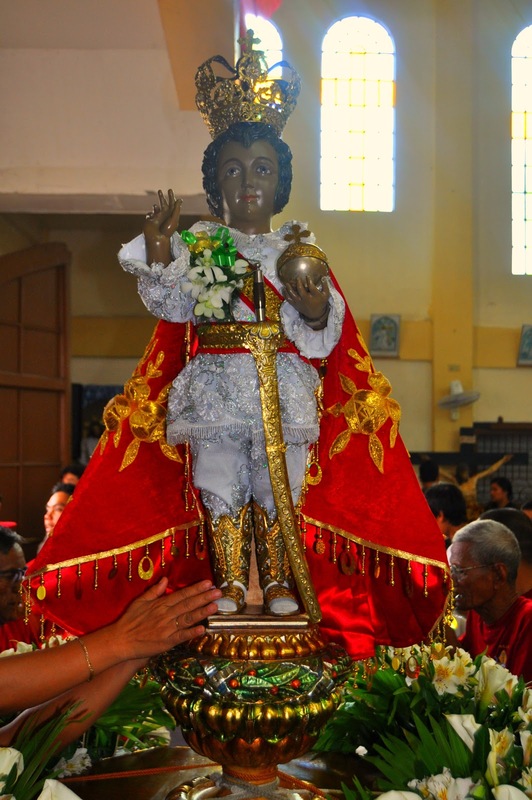 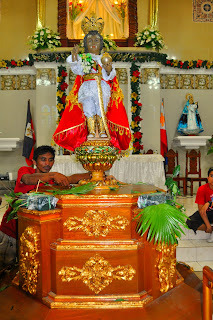 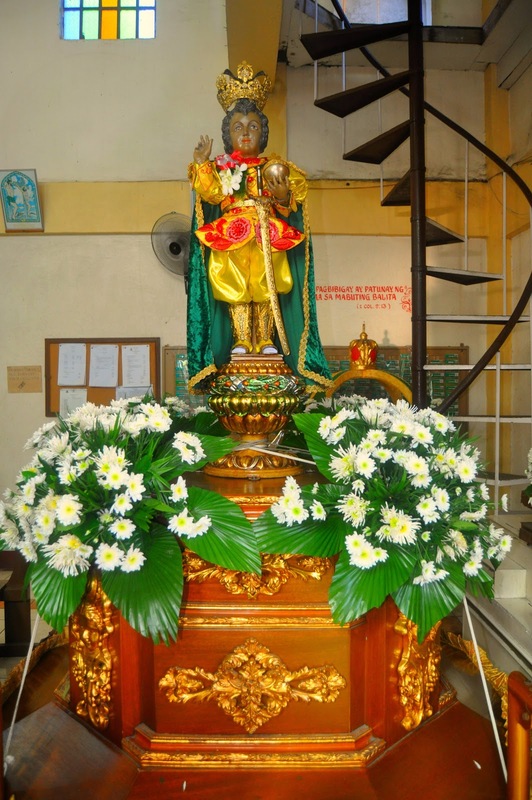 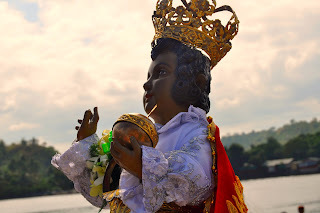 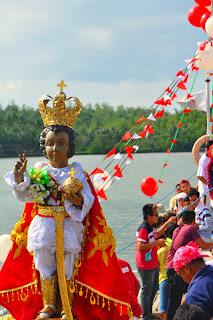 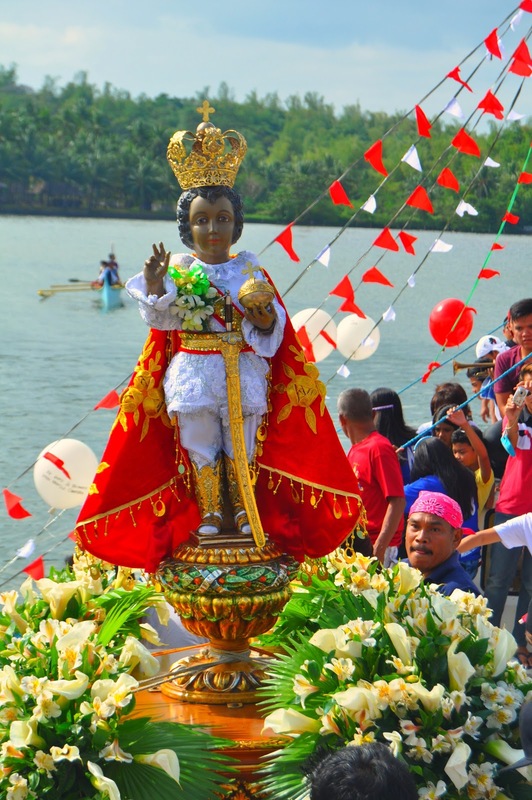 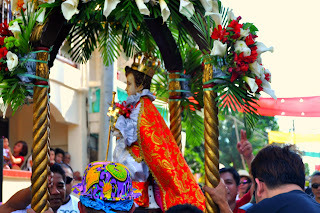 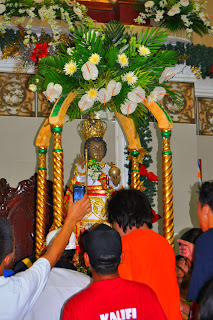 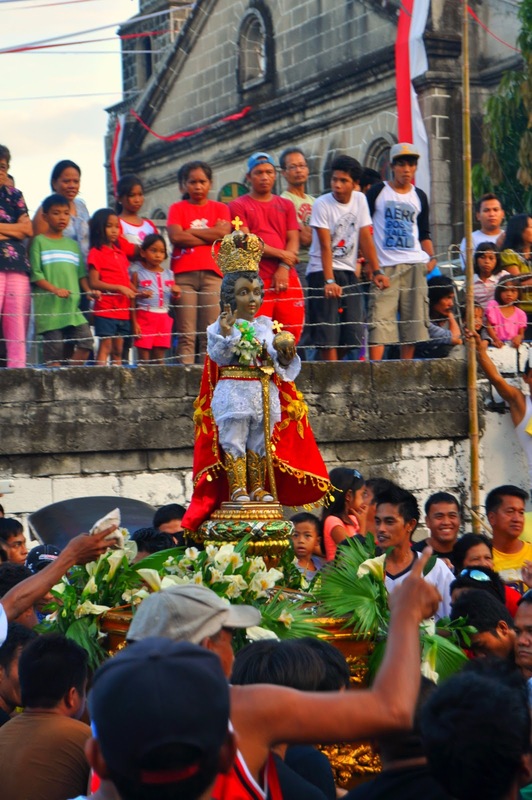 The image of the Santo Niño de Ternate is said to have been brought by Jesuit missionaries from the Group of Moluccas Islands in Indonesia (also known as Spice Islands in History books) to Cavite where Malay settlers, including the Sepoys from India, were given settlements and enjoined to keep a lookout on seafaring marauders. The Karakol of the Roman Catholics is held every January 5 or the eve of the feast of the Santo Nino while the Karakol of the Aglipayans is held every January 6 or the feast day of the Santo Nino. The difference is that the Roman Catholics starts the Karakol first and then followed by the Fluvial parade while the Aglipayans starts the Fluvial parade first and then followed by the Karakol. Before the Karakol starts, the image of the Santo Nino changes its vestments ready for the event.